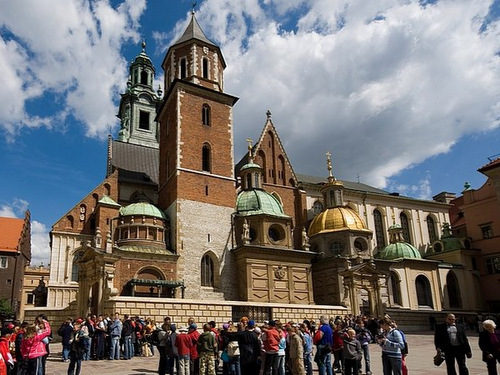 go2cracow is a travel agency which deals with incoming tourism to Kraków. Among the rich tourist offers of our city we choose the most suitable for you. 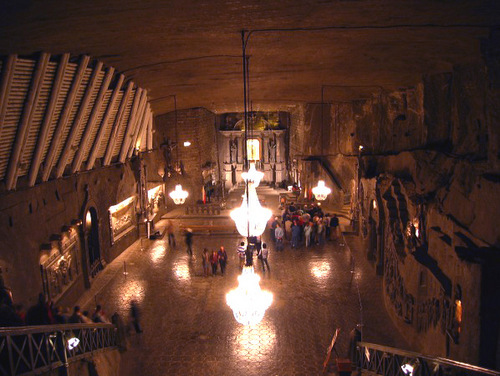 Professional guides will show you the most beautiful places in Krakow and it's surrounding area (Wieliczka Salt Mine, Auschwitz - Birkenau, Zakopane, Ojcow, Czestochowa, Wadowice). Ask for special offer only for You! 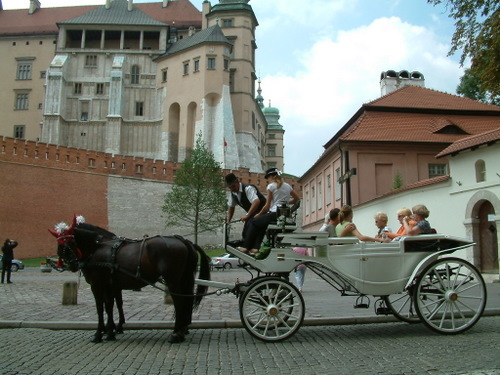 The Royal Route is the primary tourist route in Krakow. 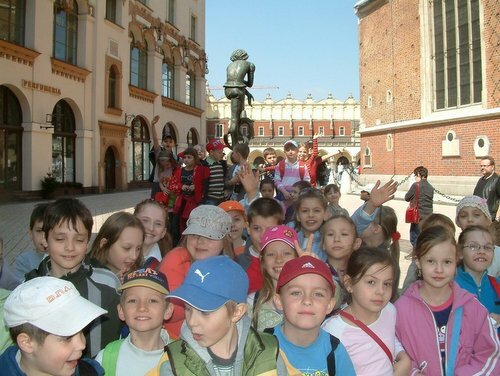 We will show you the most important out of the city: the Royal Castle and the heart of Krakow – the Main Market Square. We also answer the question why someone is playing the trumpet every hour? We will suggest where to shop, eat lunch or romantic dinner. You will also learn what to do after a guided tour (a balloon ride, a boat trip, a visit to the Mound). 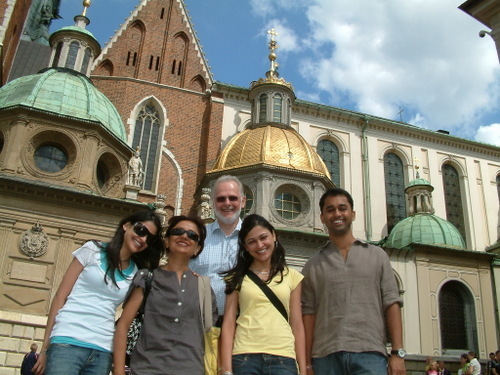 Come and meet our Krakow guides. Jewish Kazimierz is associated with a centuries-old history of the Jews in Krakow, ended tragically with the outbreak of World War II. The episode connected with the figure of Oskar Schindler presented world-famous movie director, winner of multiple Oscars - Steven Spielberg in the film "The Schindler's List". 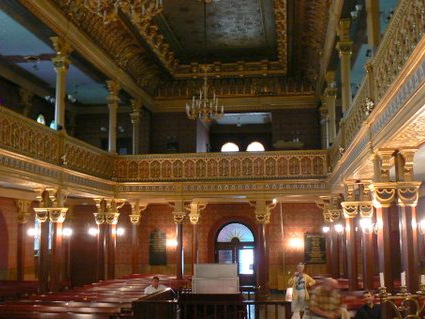 Our guides will show you the unique atmosphere of the city, places for the movie and will introduce the mystery of Jewish culture. Polish Feast of Flavours is an event which allows sampling of traditional Polish dishes and drinks. Meals are served slowly, in small portions with drinks in between, what let you experience the traditional taste of Poland and Krakow. Drinks are the fine selection of traditional old Polish vodkas. 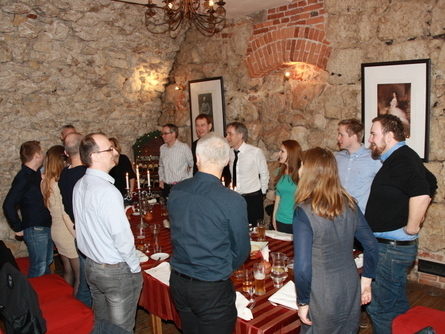 The event is conducted by our guides, who can tell how the data meals are prepared and secrets of Polish kitchenes. In the end, you will learn what they are "pierogi", "barszcz", "smalec". In addition to the knowledge of Polish culinary tradition, the event is an excellent opportunity to integrate the group. Successfully replaced an exquisite dinner. Jewish culture is inextricably linked with the history of Krakow. 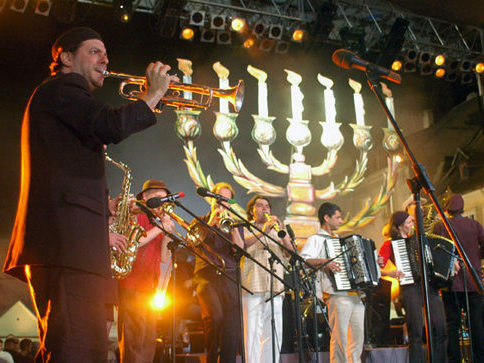 You can move to the old world of Jewish district by trying Israeli delicacies and listening klezmer music. Welcome to the Jewish evening. 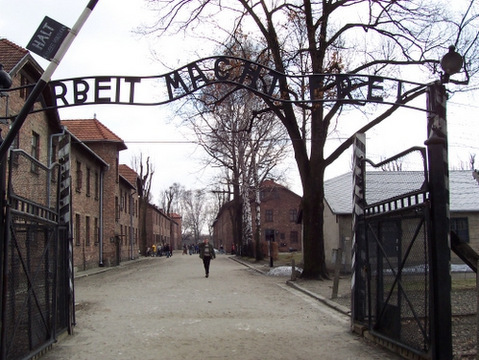 Auschwitz was the largest of the German Nazi concentration camps and extermination centers (1940-1945). Lost their lives here more than 1.1 million men, women and children. Authentic Memorial are two parts of the camp: Auschwitz and Birkenau. The visit with the educator allows a better understanding of this unique place. If you don’t have much time, but want to visit as much as possible, we recommend The Royal Route and Jewish Kazimierz in 3 hours. 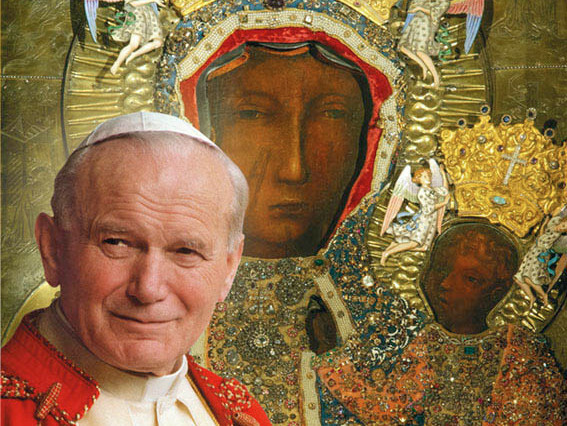 Wadowice - the little town where John Paul II was born. You can visit his house and the church where he was baptized. Czestochowa - a city famous for the Pauline monastery where the miraculous image of the Black Madonna is. The most sacred place for Poles. 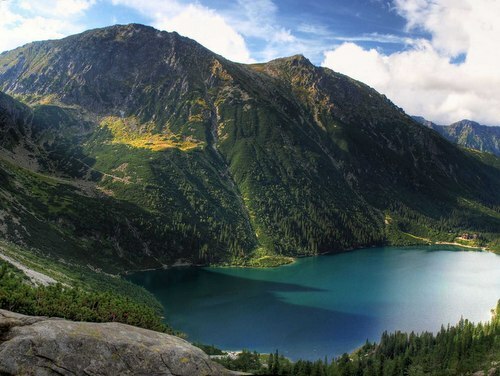 We kindly invite you for a tour to the very beautiful area of Kraków-Częstochowa Upland. 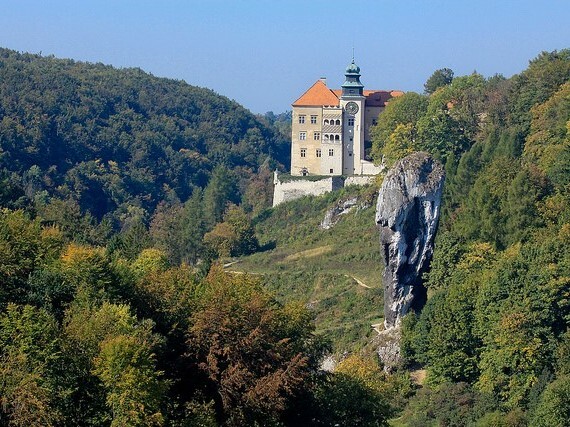 It is the land full of caves, castles and unusual limestone cliffs, ravines and rock formations. The most interesting places to visit are: the Renaissance Castle in Pieskowa Skala, the King's Lokietek Cave, the ruins of the mediaeval Ogrodzieniec Castle, the unusual rock called "Hercules' Club", the Cracow Gate, and the Błędowska Desert - the largest accumulation of loose sand in an area away from any sea in Europe. The winter capital of Poland, is a lovely town situated at the foothills of the majestic Tatra mountains. It has a population of 30,000 inhabitants. In summer it is very popular with hill walkers and mountain climbers and in winter with the winter sports enthusiasts. Zakopane is the starting or finishing point for hiking expeditions but the town itself also offers a variety of attractions for visitors. The architecture of this region is quite unique. Houses are all constructed from wood. Many are decorated with elaborate floral motifs. Krupowki Street, the most popular pedestrian road, is lined with restaurants and taverns where local specialities are served.